Among the many interesting and important sites on St. Simons Island GA, is the Maritime Museum. The museum is housed in the historical Coast Guard Station located at 4201 First Street, East Beach, Saint Simons Island GA. The Coast Guard Station, originally known as East Beach Station, was one of 45 US Coast Guard Stations authorized by President Franklin D. Roosevelt in 1935. Completed in 1936, the Coast Guard Station on St. Simons GA Â is one of only two of those 45 stations that is still standing. While the original purpose of the Coast Guard station was to keep watch on swimmers in the area and log passing planes and ships, the station became of great importance with the advent of World War II. Because Liberty ships were being built in nearby Brunswick, GA, German U-boats often lurked along the coastline, in hopes of destroying important ships or supply vessels. The Coast Guard patrolled the beaches, keeping an eye out for any sign of enemy activity and assisting in maritime disasters, such as the sinking of the SS Oklahoma and the Esso Baton Rouge in April of 1942. 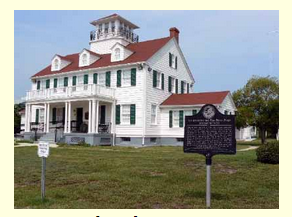 Under the auspices of the Coastal Georgia Historical Society, the building has been restored and is now the home of the Maritime Museum where the rich history of the East Beach Coast Guard Station is now preserved. Historical sites like the Maritime Museum are just some of the attractive aspects to life and residents enjoy when owning St. Simons GA real estate. An investment in St Simons GA real estate is an investment in a more relaxing and fulfilling lifestyle. For more information on GA coastal Â living and available St. Simons GA real estate, contact DeLoach Sotheby’s International Realty.